Full dentures are a treatment option of last resort. When a patient has had all their teeth removed, or is about to have the remaining teeth taken out, dentures are a treatment choice to help restore some of the function of the lost teeth. Dentures have certain problems. As the bone under them recedes, the dentures will need to be relined occasionally to make them fit better and be more stable. Some people find chewing more difficult with dentures. The taste and texture of food is different since the dentures cover the roof of the mouth. Dentures can become painful when they move around and create sore spots on the gums. Some people will find dentures have a tendency to make them gag, even if the denture is perfectly made. Being able to chew your food properly for good nutrition can sometimes be challenging wearing dentures. Conventional denture - fabricated after impressions are made of your mouth. The patient helps in the process by picking color of the teeth and by helping to establish the bite pattern. 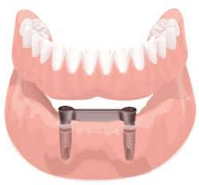 Overdentures - these are the same as conventional dentures but either some of the persons teeth have been left for the denture to fit over or implants are placed in the jawbone for the denture to lock onto. If there are remaining teeth left, they have had root canal treatment to remove the nerves and then they are trimmed down and reshaped to accommodate the denture fitting over them. When a person has some of their teeth remaining, then a partial denture is a possible treatment choice. 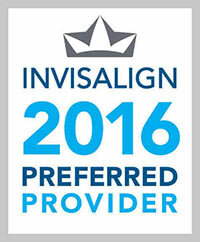 Impressions are taken of the mouth and teeth and a partial denture is made to fit to these teeth. 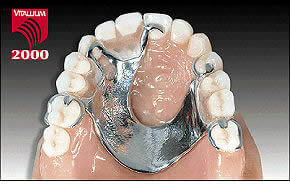 Conventional - have metal frameworks and metal clasps that snap over certain remaining teeth to gain support. "No Show" - these partial dentures are made to show as little metal as possible. Either the clasps are designed in a way to minimize their appearance, or "attachments" are used which are little devices buried in the denture that hook onto the remaining teeth for stability, but are not visible to other people. Flexite - these are all acrylic partials that have either pink, white, or clear acrylic clasps. The clasps almost become invisible because they blend in so well.